As of 2018, social marketing is key to success. It doesn't matter how significant a company, figure, or concept you are-- if you don't have proper online presence, people won't pay attention to you. 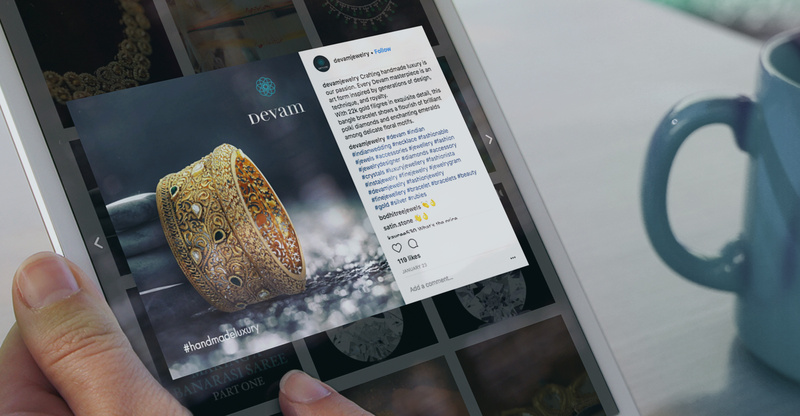 Which is why Devam, a US-based jewelry company turned to us to help with some social marketing. 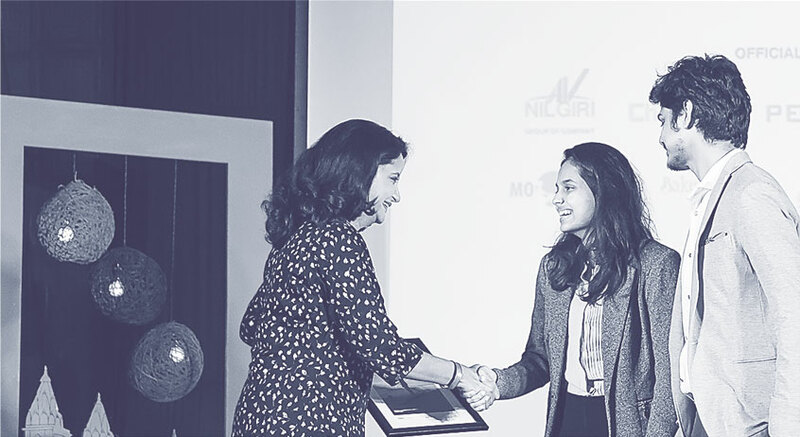 Because we had already worked with them on creating audio visual content on the beautiful manufacturing process of their products, these posts were meant to help convey those concepts and designs to clients and the community. Since this is a high-end jewelry business, the most important aspect was highlighting the beautiful earrings, necklaces, and bangles with finesse. We therefore created subtle, subdued images with dark, clean backgrounds for contrast. 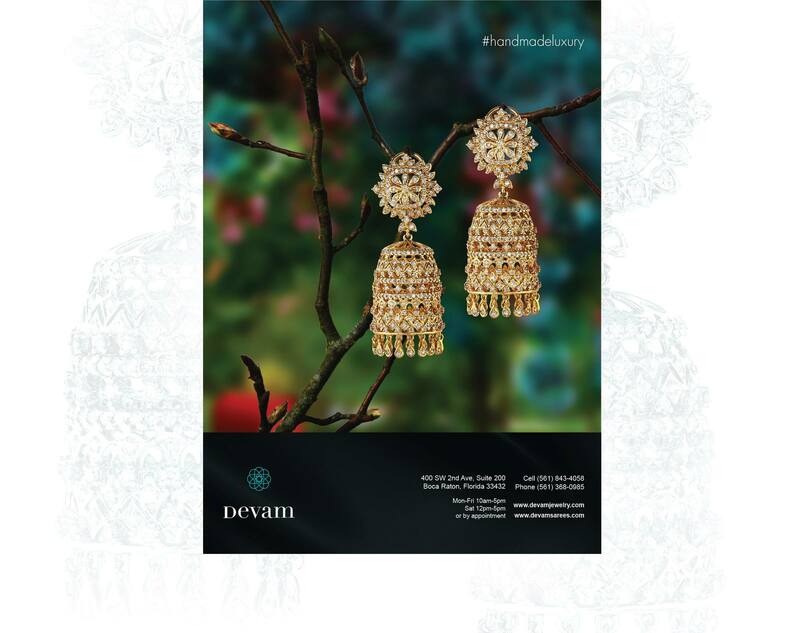 Read below for some of the other work we've done for Devam, including video adverts conveying their connection to Banarasi heritage. Message sent! We will get back soon.